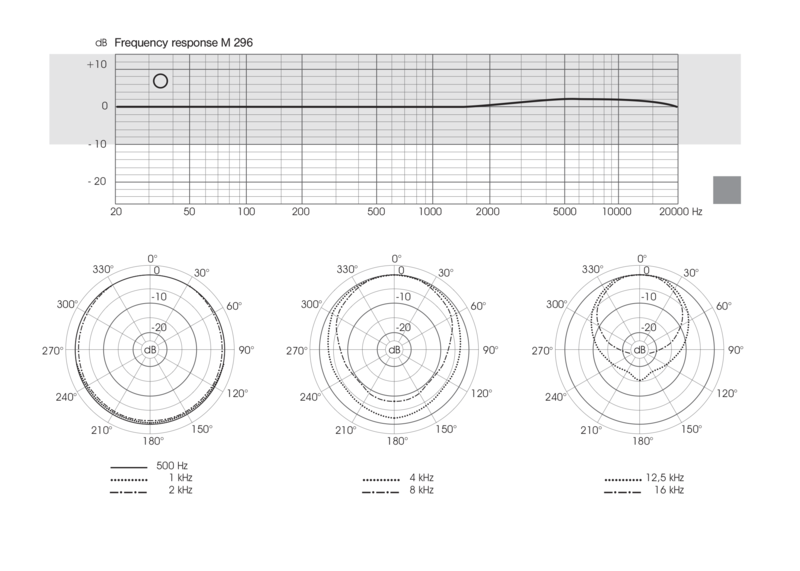 This series of microphones have a nickel diaphragm 16mm in diameter (22mm for the M 296 omni) with a membrane thickness less than 1 µm. The capsule is a ceramic capsule with the backplate coated in a thin layer of chromium that is then teflon coated to preven short-circuits in the case of the diaphragm bottoming out. The capsule head contains an integrated shockmount that serves to control the mic’s directionality and to reflect off-axis sounds away from the diaphragm, helping to retain high-frequency detail that might otherwise be smeared by “modal interaction” and phase cancellation produced by reflected sounds. 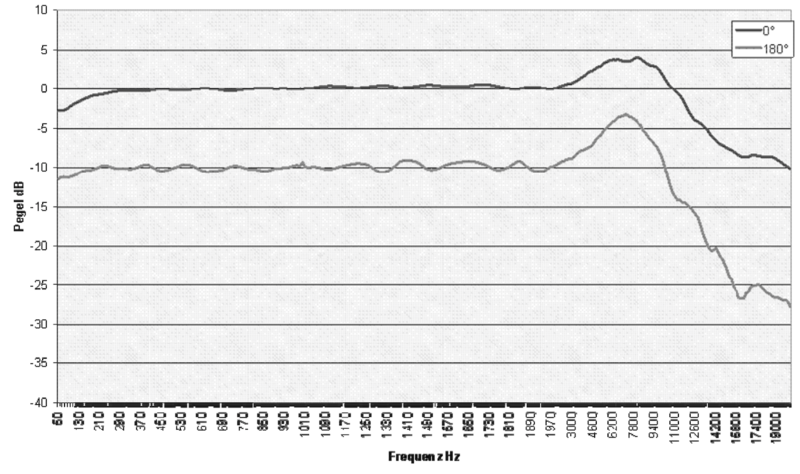 The pre-amplifier circuit is a low-noise, transformerless design that is linear from 5Hz to 100kHz. 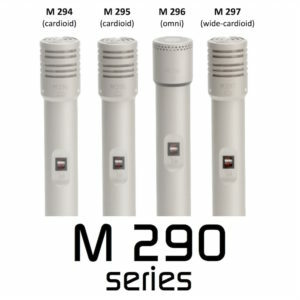 M 294 cardioid – exhibits a desirable treble boost rising nearly 5 dB in the 8 kHz region gives this microphone its special clarity. 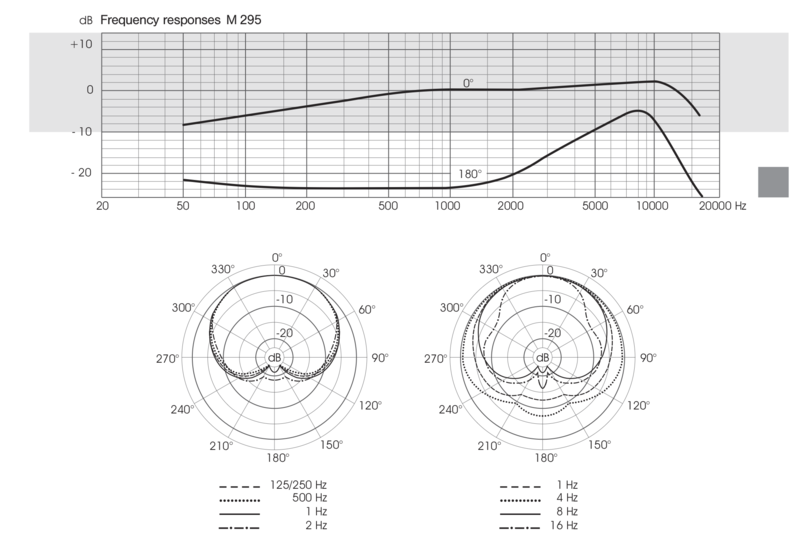 M 295 cardioid – ideally suited for close proximity recordings, with a virtually linear response in the upper range and a gentle roII-off in the Iower frequency region to counteract proximity effect. 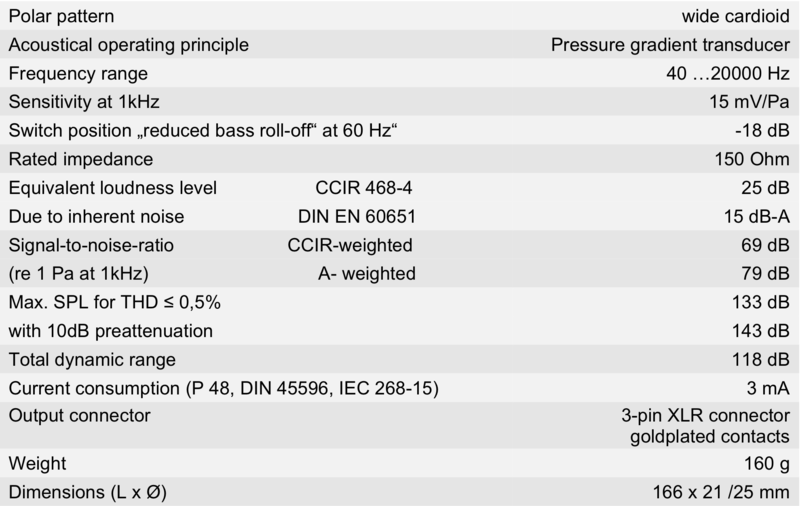 M 296 Omni – with a near linear response across the band (gentle 2 dB lift in 4 to 12KHz region) enables linear recording in the near and far fields, and handles high sound pressure levels with comfort. 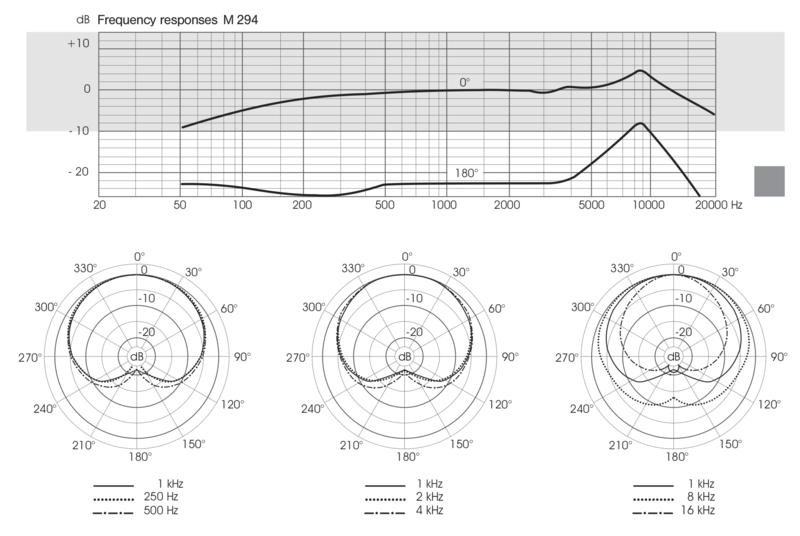 M 296 S Omni – factory selected M296 microphone having an even flatter response than the M296. 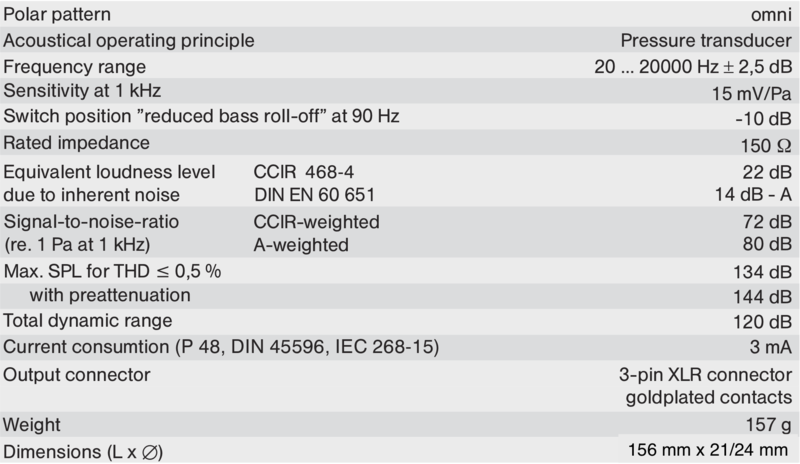 Response is within the DIN EN 60 651 class 2 specification for sound level meters. 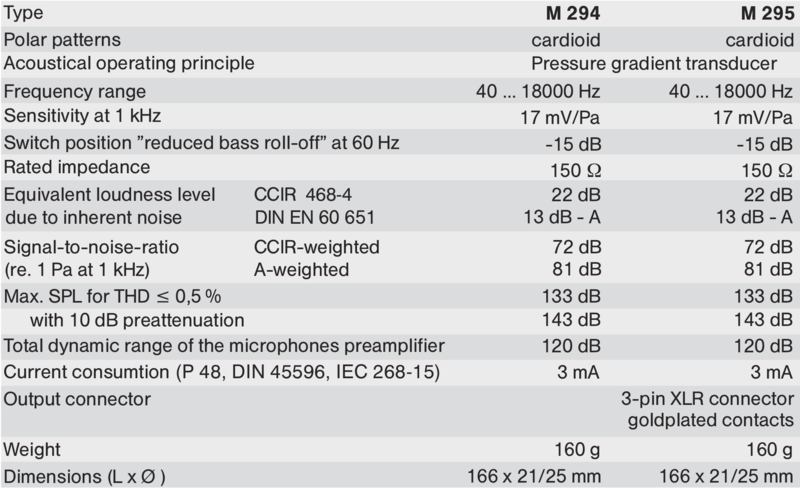 The M 294 / 295 / 296 / 297 can also be used as a Boundary Microphone by using a “TURTLE” – for information on the TURTLE see HERE.